Solar thermal heating systems or solar heating systems use sunlight to heat solar collectors or panels. The heat from the heating elements then heats water in a cylinder, giving you warm water. Regular solar thermal servicing can extend the life of solar water heating system, saving you time and money. How is Heat Generated in Solar Thermal Heating Systems? Solar heating systems absorb heat from the sun by using solar panels or collectors. The heat is then transferred by highly insulated piping to water in a cylinder in your home. Cold water in the water cylinder is pumped through the panels and returned back to the cylinder hot. Two types of solar thermal panels are available in the market: flat plate collectors and evacuated tubes. Flat plate collectors are composed of flat, glazed panels with heat-absorbing surfaces. Evacuated tubes are comprised of a number of vacuum tubes in parallel, connected end to end. There are two common tube types: glass-glass and glass-metal. Evacuated tubes appear to have higher efficiency than flat plate collectors, specifically when the outside temperature is higher than 25 degrees C.
Heating supplied by the sun is free, and once the initial cost of a solar water heating system has been paid, your gas, oil and electricity bill will be reduced. 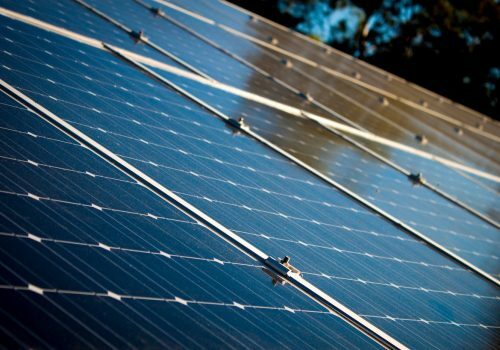 Solar water heating systems are renewable energy systems and they can also help you protect the environment by lowering your carbon footprint. Solar thermal technology is a well understood technology and for the most part, components such as panels, controllers, etc. are robust and operate to a very high standard. A properly installed and well serviced solar thermal system could last for a minimum of twenty years, and sometimes even longer. Poor solar thermal servicing can however cost you time and money in the long run. piping is a blockage. Contact your installer to fix the problem. installer is equipped to find the fault. When installed properly by qualified technicians, solar water heating systems can provide you with a third of your heating needs, slashing your electricity bill. To book you solar thermal heating service please call us direct on 0116 264 5115.